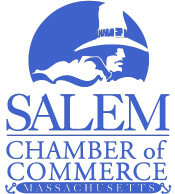 The Salem Chamber of Commerce is organizing our fourth annual “Salem Sampler” raffle for January 2019. It is a month jam-packed full of prizes! We will showcase over $10,000 in prizes donated by Salem Chamber of Commerce member businesses and organizations that YOU could win! 4 Cash prizes totaling $2,500 are included as well. 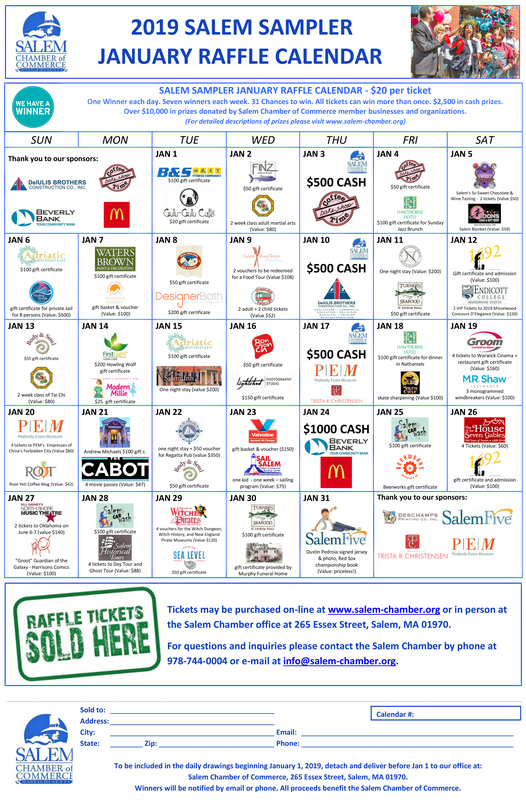 Click here to buy your Salem Sampler Calendar Raffle Ticket or contact a Salem Chamber Board Member or the Salem Chamber at 265 Essex Street, Salem, MA 01970. You may also contact the Chamber by phone 978-744-0004, or e-mail: info@salem-chamber.org for assistance. Each calendar raffle ticket is $20. Raffle ticke sales are on sale through January 1 (while calendar tickets last). 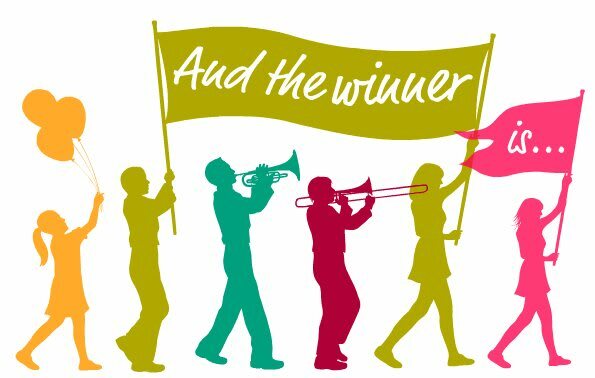 Drawing for the Salem Sampler Raffle will start January 1 and continue through the end of January. The Grand Prize will be drawn on January 24. To complete your raffle entry, please send the bottom portion of your tear off ticket to our office by mail, or stop by and hand it to one of our office staff. If you purchase a ticket online, we will fill out the tear off sheet, confirm your raffle number and mail the calendar to you. Thank you to the generous sponsors who are helping to put on our Salem Sampler January Raffle for 2019! Click on the logos below to visit our sponsors' respective websites. What you could win - 31 chances (one for each day in January 2019)! Note: the prizes below may be distributed over the 31 days (not necessarily how they are listed below) and/or given away during our After Hours held on January 24. Each entry is $20 per ticket. One Winner will be pulled each day. All tickets can win more than once. Tickets can be purchased online Dec 1 - Jan 5, from a Chamber board member, and through our office via phone or in person! Harrisons Comics - Marvel Comic Character "Groot"